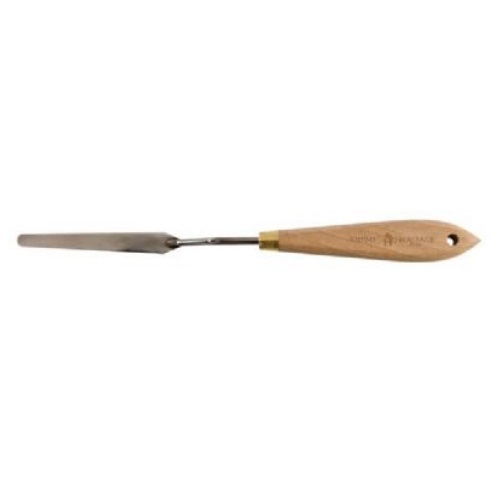 Made of flexible, rust resistant, stainless steel securely attached to a polished hardwood handle. Features excellent spring and control. Can be used for a variety of painting techniques such as textured, impasto work, large areas of flat color, and mixing or scraping paint.